Dear J.K. Rowling, For Christmas we all would like our applications to Hogwarts to be approved. Okay, so maybe Rowling can't make that happen, but she has something else in store for us Harry Potter–lovers (aka everyone). Every day from December 12 until December 23, Rowling is letting us unwrap festive surprises on Pottermore for Christmas. The presents will be available to be unwrapped at 8 a.m. EST. Talk about putting everyone in the holly jolly spirit. In true Rowling form, however, she's not just going to hand you these Harry Potter Christmas presents. You're going to have to work for them. In order to unwrap your daily presents, you will have to correctly answer a rhyming riddle — so study up on your collectors' edition of the series for the next week or so. We know, after all, that Rowling is gosh darn good at riddles. 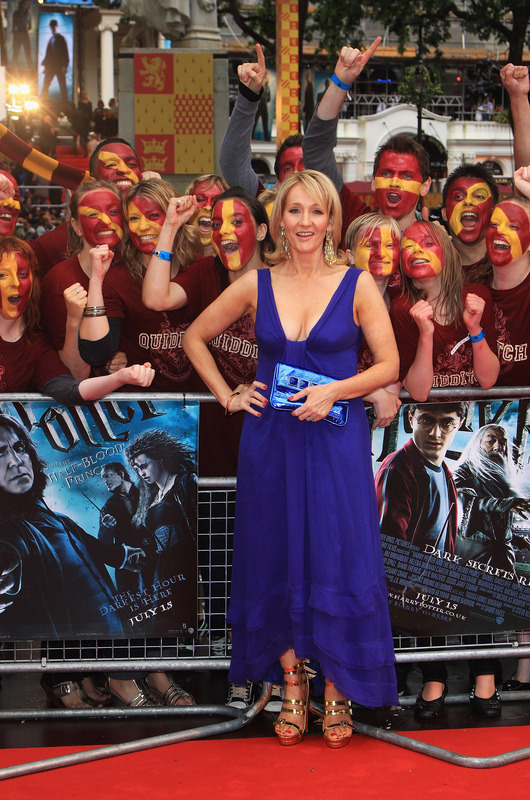 Don't worry, though, Rowling has set up the #PottermoreChristmas hashtag, where you can (shh!) probably find some Potterhead pals to help you if you are getting stuck. With wonderful new writing by J.K. Rowling in Moments from 'Half-Blood Prince', shiny gold Galleons and even a new potion or two, make sure you don’t miss out. Did she say new potions? How long do we have to wait again? Pottermore is Rowling's Harry Potter insider website. Users can enroll in digital Hogwarts, get sorted (in case you're wondering, I got Ravenclaw), participate interactively with the existing Harry Potter novels, and get the insider scoop on when Rowling publishes supplemental, previously unreleased Harry Potter content. In the past, she has divulged backstory on one of the most hated teacher at Hogwarts, Dolores Umbridge, among other new tales in the universe.